Galería de la Raza: Sugar Skull Decorating Workshops! 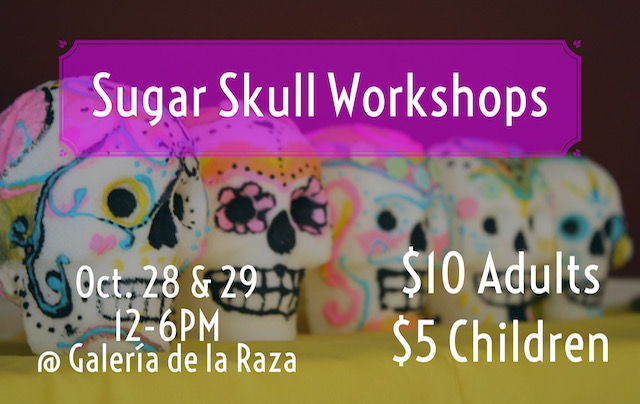 Join us for a weekend of sugar skull decorating! This year Michele will be hosting the workshops only one weekend, October 28th and 29th, from 12-6pm. With admission you receive one pre-formed skull and all the decorations. We will also have some retail pre-decorated skulls available. Come have a fun weekend outing with your family and friends!